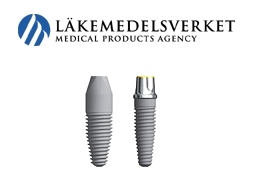 The Swedish Medical Products Agency(SMPA) released a demand for Nobel Biocare to improve the instructions for both its NobelDirect and NobelPerfect implants. Previously Nobel Biocare had released a response to the recent marketing ban on their NobelDirect implant following reports that it lost an excessive amount of bone following placement. The SMPA stood by its decision that the firm not be allowed to market the implants until it had carried out the improvement of the instructions. The SMPA stated that the instructional information must be supplemented and further clarified. As an example, the SMPA described Nobel Biocare`s instruction statement: “you don´t have to be a specialist to prepare the site for NobelDirect” as `inappropriate`.